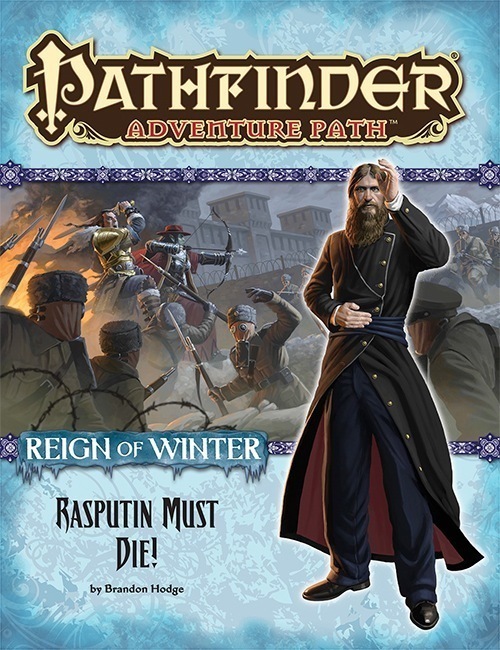 “Rasputin Must Die！”, a Pathfinder RPG adventure for 13th-level characters, by Brandon Hodge. A look into the cultural climate of Russia in the midst of revolution, along with rules for her weapons of war, by Adam Daigle and Brandon Hodge. Revelations on Szuriel, the Horseman of War, and her brutal quest for souls, by Sean K Reynolds. Spiders versus sentient dolls in the Pathfinder’s Journal, by Kevin Andrew Murphy. Four new monsters, by Adam Daigle, Brandon Hodge, and Sean K Reynolds.